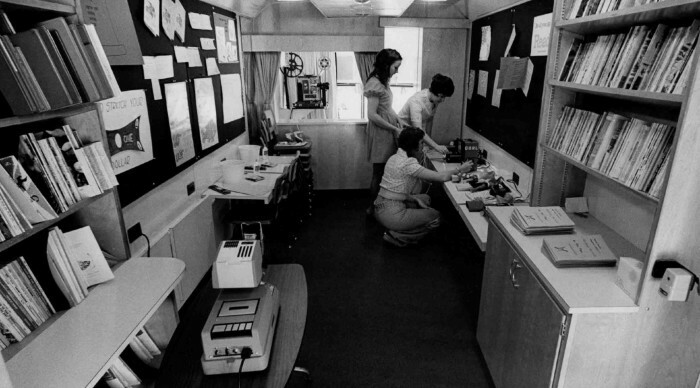 Photograph of the mobile "media" bookmobile in service during the 1970s called the Pied Piper. Daniel Boone Regional Library Collection . Bookmobile: DBRL_Outreach_3. Archives of the Daniel Boone Regional Library. 20 Apr 2019.